Whenever you feel self-conscious about grinning from cheek to cheek with your teeth, it’s time to consult Dr. Dave Canty at Rollins Family Dental Center about a smile makeover. If you live in or near Round Lake Beach, Illinois, there’s no better place to treat yourself to an assortment of state-of-the-art services designed to restore pearly whites and healthy gums to your smile. Cosmetic dentistry is the professional discipline of enhancing the look and surfacing of your teeth and gums. But there’s a whole lot more to it than image enhancements like whitenings. Far from just focusing on aesthetics alone, cosmetic dental treatments also usually bolster the strength, function, and health of your teeth. Restorative dentistry aims to restore the health and function of your mouth, and even related areas like your throat (for sleep apnea) and sinuses. However, the staff at Rollins Family Dental Center is fully committed to preserving the beauty of your smile, so many restorative services include some cosmetic dentistry. The best example is choosing natural-looking materials like porcelain, ceramic, and white resin in dental implants, cavity fillings, dentures, and bridges. There are many effective cosmetic dental treatments, so it’s critical to think about the look you desire and discuss it with the friendly staff. Also feel free to share photos of the look you’d like to achieve so that the professionals at Rollins Family Dental Center can better understand your goals. They conduct a thorough examination, describe the advantages of each option, and let you know what to expect from the procedure. Whether it’s a full-smile makeover or a simpler procedure, they’ll walk you through it every step of the way. 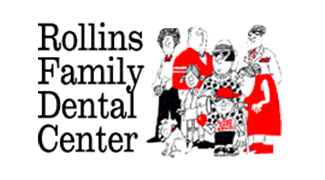 So electing to get cosmetic dental procedures isn’t just about how you look and feel, the dentists at Rollins Family Dental Center often recommend them to help maintain your oral health and avoid developing more significant issues. If you’re ready to learn more about which cosmetic dentistry treatments will bring out the best in your smile, call to schedule an appointment or book online.